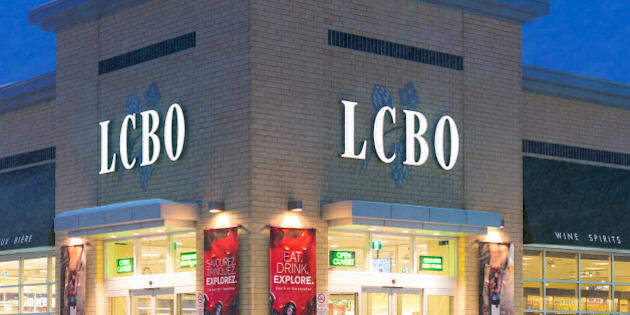 The LCBO is hoping to cash in on marijuana sales. The dubious reasoning being that they, and only they, are capable of handling the burdensome task of quenching the insatiable thirst of millions of Ontarian adults -- so obviously they and only they are responsible enough to distribute marijuana. Too bad Ontarians don't view it this way. The frustration of 9:53 p.m. is well known in Ontario. It's the time where glancing at a watch or phone is accompanied by a heartbroken sigh and softly uttered four-letter expletive. Your dinner party is down to its last bottle of wine, some friends just surprised you from out of town, you're just a responsible adult that had to work late. But you certainly aren't allowed to enjoy a glass of wine in any of these circumstances according to Ontario's incredibly outdated alcohol and "social responsibility" laws. It's this same social responsibility logic that the province's largest moneymaker, the LCBO, is hoping to cash in on with marijuana sales. The dubious reasoning being that they, and only they, are capable of handling the burdensome task of quenching the insatiable thirst of millions of Ontarian adults while ensuring the fabric of society remains intact -- so obviously they and only they are responsible enough to distribute marijuana. Too bad Ontarians don't view it this way. Support for this model simply doesn't agree with the voting populace, according to Forum Research, so why does it seem like a foregone conclusion? Existing black market dealers, whether in dispensary form or independent, are interested in generating repeat business as often as possible and have catered to their clients with new strains, delivery methods and bulk discounting. The black market delivery system is already 10 steps ahead of distribution through the LCBO and the hoop-jumping the provincial entity is traditionally known for implementing. The government of Ontario seems obsessed with reinventing the wheel or at least making sure it was purchased at the LCBO (coming soon: LCBO-only oil changes) instead of learning from studies and real-life examples like Colorado, Amsterdam or Oregon, and how their models have benefited the government in the form of increased revenue and retail jobs. To distribute marijuana like alcohol will ensure that a healthy black market continues to exist. Grey and white market distribution in most other jurisdictions is based on regulated free market ideas -- business owners running reasonably regulated shops with expert employees that understand their product. If the LCBO ends up selling, the black market will only continue to thrive. The existing black market marijuana distribution chain has been perfected over decades and is easily emulated while attaching regulations and enforcement to ensure compliance. To distribute marijuana like alcohol will ensure that a healthy black market continues to exist, but clients heading to the black market instead of the LCBO shouldn't be surprised when the government introduces more severe fines and penalties for people purchasing outside of regulated channels. This will effectively penalize a more efficient business model and providers simply for doing what they've already been doing for decades -- and far better than the Ontario government can hope to through its centralization agenda. The refusal of Ontario to actually listen to constituents or learn from other markets is frankly embarrassing, and the doublespeak of a deaf government has become tiresome for many constituents as Kathleen Wynne hits her lowest approval ratings ever. Distribution through the LCBO is short-sighted and one of the most illogical continuations of the war on drugs possible. What has kind of worked with alcohol in the past will not be effective with such an easy-to-grow substance backed up by an established and thriving black market, regardless of how much control the government exerts through raids and tougher sentences. Consumers are simply more demanding these days. By offering less choice and more control through the LCBO they'll go elsewhere even if it means jumping across the line of the law. The LCBO and Ontario governments of every era have preached social responsibility but have blinded both eyes to overhauling drunk driving legislation or even just careless motor vehicle use. Along this line, their vice grip on alcohol producers has ensured that smaller alcohol producers have as difficult a time as possible to begin and continue operation. There is a hugely growing market for craft alcohols, but the government of Ontario refuses to move unless repeatedly poked and prodded -- until 2002 it was nearly impossible to open a craft brewery, now there are over 300 in Ontario. Perhaps it is finally time to allow more job-creating, free-market sub-economies such as the craft alcohol market to flourish with less regulations. Even with difficult-to-navigate restrictions and distribution still in place, craft beer is one of the fastest growing sectors and job creators in Ontario and North American. This quickly became a reality after many of the regulations stunting production and distribution were lifted across many jurisdictions to allow smaller producers the opportunity to compete. There is no reason to believe that the emerging market for legal weed would be any different and there are already signs pointing to significant returns and job growth with a lightly regulated free market model. It is a fact that the people of Ontario support less government regulations in the marijuana industry, so why won't their government listen?